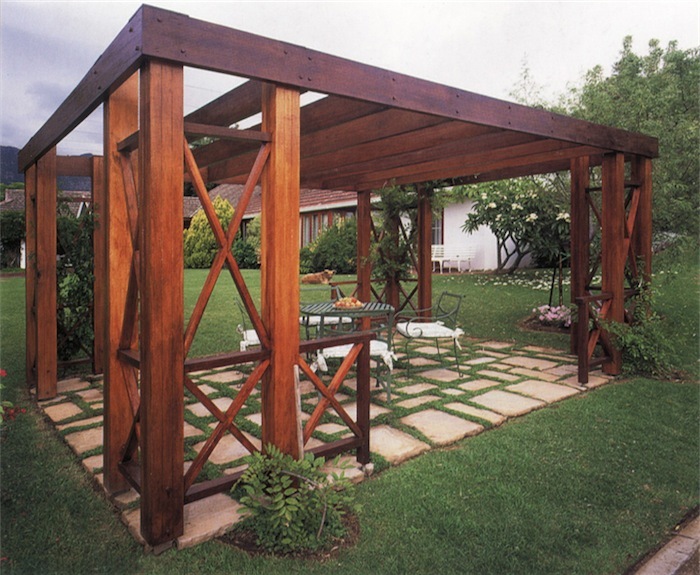 This carefully designed, beautifully constructed wooden pergola looks rather grand and imposing. However, while it is certainly a relatively large-scale project, involving a fair amount of timber, there are no complicated joints, and you won’t need any specialised tools. You can simplify the project even further by buying ready-planed timber that has been cut to size. Use the sizes given in our materials list as a guide, but buy the closest dimensions if these are not available. Bear in mind that conversions from metric to imperial measurements will never be exact. If in doubt, rather buy wood that is slightly longer than required. Also remember that the dimensions of off-the-shelf rough timber are greater than timber that comes ready planed. Note that if you are going to concrete the posts into the ground, they will need to be at least 500 mm (or about 2 ft) longer, and you will need extra concrete for the footings. The first step is to set out the structure accurately to ensure that all the upright posts are correctly positioned. This is vital, since if you are even a few inches out, the beams are not going to fit. If they are spaced too widely, you will have a real problem! You can throw a concrete slab at each corner of the structure and, once it has set and hardened, you can bolt post anchor brackets to the concrete, and then bolt these to the posts. Alternatively you can use anchor brackets that are designed to be concreted into the ground. Either way, you will need to mix the cement, sand and stone together with sufficient water to make a nice pliable mix that is easy to handle. Make sure it is not too runny, or you will lose strength. Use the router to cut a 69 mm (2¾ in) groove vertically in each of the 24 upright posts, where the two pieces will be joined. This will not only look attractive, but it will also create the visual impression that the rails have been inserted right through the posts, making the structure look even more solid than it is. Note that if a variance of the 144 mm x 69 mm timber specified is used for the upright posts, the groove should match the smaller dimension of the wood. Now glue the posts in pairs and bolt them into position. 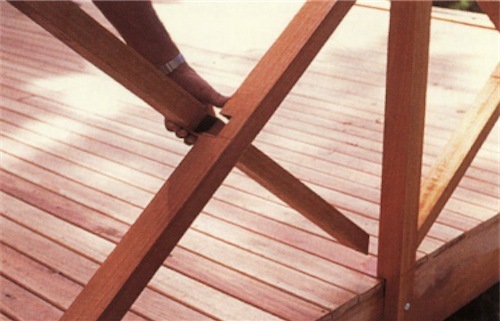 Use clamps to keep the timber together and brace it so that it stays upright. You may need to do two or three posts at a time, depending on the number of clamps you have available. Allow sufficient time for the wood glue to dry, before moving onto the next set. While you wait for the wood glue to dry, nail the diagonals in place. You will first have to cut the ends of each of these at an angle. Use your mitre box and saw to do this. To achieve the criss-cross effect, you need to join the two diagonals with a cross halving joint. Use the tenon saw to cut the joint, and the chisel to create a 32 mm x 22 mm (1¼ in x ¾ in) slot in the centre of each length of timber. Note that the 32 mm x 22 mm dimension is in keeping with the size of the timber specified (32 mm x 44 mm). If you opt for a different size, however slight, adapt the dimensions accordingly. It is a good idea to glue the joints before skew nailing the ends to the posts. Also pre-drill the wood for the nails and coach screws to prevent it from splitting. Once the diagonals are in position, skew-nail the railings in place. 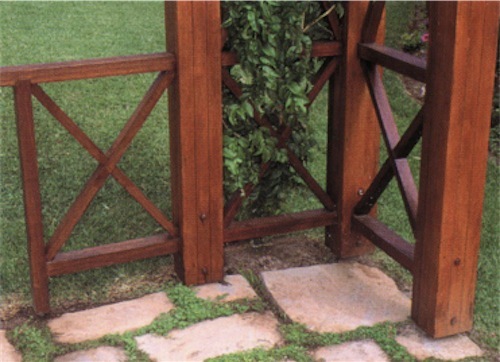 Now mitre the ends of the four outside beams that form a frame for your pergola “roof”. This will ensure that the ends meet neatly at the corners. Fix the two longer beams in place first, using coach screws to secure them. Then measure and mark the position of all the shorter beams Bolt the two outer beams with two coach screws at each end, where they meet the long beam. Then bolt the inside beams, ensuring that they are evenly spaced. If the structure is regarded as minor building work you won’t require plans. See this article for more information. What an helpful site! Thank you. Should I build such a pergola, attached to my home, and install retractable canvass awnings, would that alter the position as to the necessity for building plans? The only thing that will affect the need for plans is whether or not it is considered to be minor building work. Any solid roof covering will need approval from the council whether this is for full plans or approval as “minor building work”. Aluminium is not an exeption, my mother sold her house in Howick Natal recently and they made her submit plans for the aluminium shutter roof over her back stoep. She was told by the aluminium shutter supplier that she did not need plans, this was so wrong as the company might not have got the sale if she had known. Buyer beware of false claims by sellers who want to make a sale. plans. We’re considering adding additional cross beams. 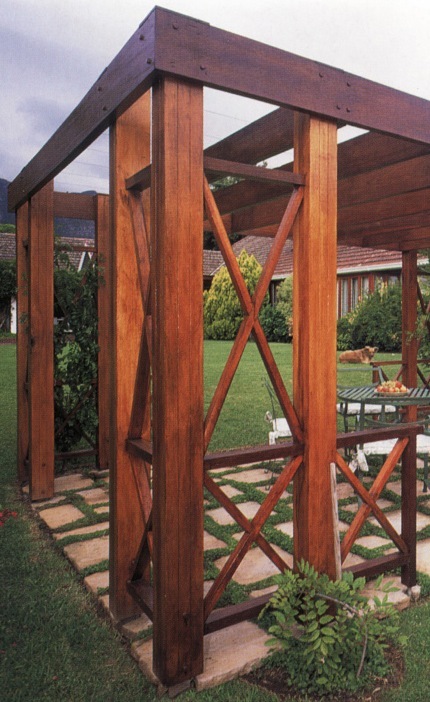 What would the minimum cross beam centre’s be before our pergola was considered a carport? Hi Bruce, This is a good question. The law states a solid covering ie. roof sheeting of any sort, but if there are slats that permanently allow a certain percent of light through then that should not be a solid cover. On the other hand plans were required a while ago when a house was sold in KZN and the back verandah had an aluminium louvre shutter covering that could be opened or closed with a lever. They considered this a “solid” covering and “as built” plans had to be submitted before the sale of the house could go through. It would seem to be how each inspector does his/her interpretation of the laws. Can you help with plans for a patio? We are not a construction company or a design firm please contact a reliable contractor who will help you. Try the Master Builders SA. Will I need the municipality to approve a pergola if its attached to the house? Not if it is just a pergola Neil. See Minor Building Work. Thank you for this Pergola article. 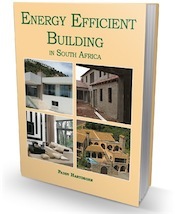 Easy to follow – very helpful – and a good looking end product. Hi Motlatjo, We are not a carport company and we do not do any construction work at all.